YOU ARE INVITED! -- PLAN TO ATTEND BOTH EVENTS! May 1 - NATIONAL DAY OF REMEMBRANCE FOR FORGOTTEN HEROES OF THE COLD WAR! "...I, and I believe other members of SASC, have a responsibility to establish where in the military chain of command rests the ’accountability,’ depending of course, on the accuracy of the facts...What I need from you are the essential facts of when- the dates- the unit was deployed, to which brigade combat team, or other unit it was assigned, the name and current location of the captain, or other military personnel who shared the alleged facts with you, so that committee staff can debrief them." The anti-war activist organization Iraq Veterans Against the War (IVAW) has advertised widely that it will hold a public event it has entitled "Winter Soldier Investigation (WSI) - Iraq and Afghanistan" near Washington D.C. next month (Mar. 13-16). The event is self-consciously patterned after the 1971 Winter Soldier Investigation held in Detroit by the Vietnam Veterans Against the War(VVAW). During that event, over one hundred purported Vietnam veterans "testified" to widespread and horrific atrocities committed routinely by American forces in Vietnam. In April of 1971, Senator Mark Hatfield moved that the entire WSI "testimony" be entered into the Congressional Record, while also calling for the relevant investigatory agencies in the military to investigate the charges made. None of that "testimony" had been given under oath or in legally binding depositions or affidavits. Later that same month, Senator William Fulbright’s Foreign Relations Committee held hearings, well publicized on television, in which young war hero and VVAW leader John Kerry testified to the widespread atrocity "findings" of that WSI. When military investigators for both the Army and Navy attempted to investigate the charges, those who had "testified" and could be located were almost universally uncooperative with those investigations. They would not give names, dates, units or details of events that would allow investigation to proceed. There is no record that the Foreign Relations Committee or any committee of the Senate ever held hearings to receive those follow-up reports. As such, the general theme of the 1971 WSI of widespread atrocities committed by American forces in Vietnam passed largely unchallenged into much of our culture. It has been a mainstay of the film industry for decades. It has harmed the image of American in general, and the honor of three million Vietnam Veterans in particular. Various sources on the Internet and in print, including the IVAW, the VVAW and the Veterans for Peace as well as other organizations associated wth them have been claiming that "testimony" given next month will be about a variety of matters including widespread atrocities, indiscriminate and unwarranted killing of civilians and destruction of property and infrastructure, torture of detainess, mutilation of corpses and the illegal use of Afghan bodies for medical "practice", rampant sexual misconduct, racism and drug/alcohol use by American soldiers and on and on. * Make request of the Iraq Veterans Aagainst the War that member(s) of Committee staff be permitted to attend the entire Winter Soldier Investigation "testimony" proceedings and be provided access to those testifying. * That in the event that staff determines that there has been testimony given that touches on areas where, in the words of Senator Warner, the members of the SASC "have a responsibility to establish where in the military chain of command rests the ’accountability,’ depending of course, on the accuracy of the facts...", the Committee or a Sub-Committee of its delegation begin proceedings to follow-up on the claims made. * That the Committee or Sub-Committe investigation be prepared to request and/or subpoena all documents and records, signed statements and recordings, audio, video or digital, that bear on the claims made and being investigated. * That those making such claims or professing publicly to verify those claims be requested or subpoened to appear before the Committe or Sub-Committee, under oath, to answer questions. The IVAW has also publicly stated that it intends to have the unsworn "testimony" from the upcoming event also entered into the Congressional Record. In 1971 the Senate of the United States was derelict in its duty of both oversight and follow-up and in the reasonable regard and respect it should have shown in consideration of the sacrifice and service of the American armed forces and veterans. We request that the members of the Senate Armed Services Committee not allow what happened to a previous generation of veterans be allowed to happen to another and even be aided, as it was then, by the United States Senate. Konawa — Veterans of Foreign Wars Post 11194 hosted an informational meeting recently at the American Legion Hut in Konawa. Guest speakers were Stacie Paige, assistant administrator, and Linda Ramer, patient services representative for the Sulphur Oklahoma Veterans Center. There were 20 veterans present. The veterans center in Sulphur was built in 1921 as a TB Center for Veterans. Old buildings that remain have been kept in good repair. Some have been replaced and new ones added. The center in Sulphur has 132 beds with a staff of 200 for around-the-clock care. It has three staff doctors and many nursing and maintenance personnel. Oklahoma has 1,441 beds for veterans located throughout the state that give this type of care. Sulphur has 132 beds, Ardmore has 175 beds, Lawton has 200 beds, Clinton has 156 beds and Claremore has 302 beds. The Sulphur unit is equipped with a 30-bed mental care ward. The budgets of all these facilities are evenly split between federal, state and private charges. Veterans are charged 85 percent of their income up to a maximum of $2,700 per month. V.F.W. Post 11194 has application forms for hospital care and forms are available at each center. WASHINGTON - U.S. Senator Mel Martinez (R-FL) today released the following statement regarding the resignation of Fidel Castro. “Today I am cautiously optimistic for the people of Cuba and another step is closing on a long, dark chapter in Cuban history. I look forward to the day that Cubans will be able to freely elect their own leaders. Unfortunately, today's news does not facilitate that yet. We must remember that Fidel Castro has resigned from a position he was never elected to in the first place. “The goal of U.S. policy is clear and remains that we must see the unconditional release of all political prisoners; the respect and recognition of fundamental human rights; and a genuine transition towards political freedom, the rule of law and democracy. I am writing to you to ask you and Cold War veterans if you can help me my mother has terminal cancer I just found out she has stomach cancer and the doctors have given her only a year to live. I have not been home for more than 17 years I have been living here in Germany has you know. I am desperate to she her before she dies I have found a flight out of frankfurt on the 28 of march for 619 euros round trip about 1,000 dollars being disabled and living on a small disability payment from the VA I cant raise these funds to buy the ticket can you and your post or CWV national help me to see her one last time. we have spoken several times before and I dont know what to do I contacted the American Legion here in Germany but they say because I am not a member they cant help me. This is the point Cold War veterans has been rasing only because of my service dates I am not eligible to join the legion. As a Cold War Veteran I pleading with you and your membership for help. I had your phone number but I have misplaced it I would call you but I have sent this email instead can you contact me soon any assistance would be greatly apprecated god bless. 0049-0-7131-579468 is my phone number I feel ashamed to ask but I have no other means to return home to see her before its to late. The 1st Marine For Life Meeting will take place on Thursday, February 28, 2008 at 1800 (6 PM). Location: One Chase Manhattan Plaza (60th floor). We need maximum participation as this event will determine future events. To all organizations/ companies who have replied - please remember to send a representative from your organization, also advise if you are bringing a guest. Networking - Use of key Marines already in mainstream America & Global. Current Openings or Recruitment and job placement. One Chase Manhattan Plaza (60th floor), between Pine, Liberty, Nassau, and William Streets. Directions: I am including directions to the World Trade Center which is within walking distance from One Chase Manhattan Plaza. -- A, C, J, M, Z, 2, 3, 4 or 5 to Fulton Street/Broadway- Nassau. Exit onto Fulton Street and walk west to Church St.
-- E to World Trade Center. Exit onto Church Street. -- R or W to Cortland Street. Exit near the intersection of Church St. and Cortlandt St. Walk north on Church St. about three blocks. -- 1 or 9 to Rector Street. Exit onto Greenwich Street and walk north to Liberty St.
-- Take the M1 or M6 to Church & Vesey. -- Take the Newark-World Trade Center or Hoboken-World Trade Center lines to the World Trade Center station. Uniform: Proper civilian attire or Dress Blues Charlies. The mission of the Marine For Life Program is to provide transition assistance to Marines who honorably leave active service and return to civilian life; and to support injured Marines and their families. Resolved, That there is established in the House of Representatives a select committee to be known as the Select Committee on POW and MIA Affairs. Sec. 2. The select committee shall conduct a full investigation of all unresolved matters relating to any United States personnel unaccounted for from the Vietnam era, the Korean conflict, World War II, Cold War Missions, or Gulf War, including MIA’s and POW’s. Sec. 3. (a) Members- The select committee shall be composed of 10 Members of the House, who shall be appointed by the Speaker. Not more than half of the members of the select committee shall be of the same political party. (b) Vacancy- Any vacancy occurring in the membership of the select committee shall be filled in the same manner in which the original appointment was made. (c) Chairperson- The Speaker shall designate one member of the select committee to be its chairperson. Sec. 4. (a) Authority- For purposes of carrying out this resolution, the select committee (or any subcommittee of the select committee authorized to hold hearings) may sit and act during the present Congress at any time or place within the United States (including any Commonwealth or possession of the United States, or elsewhere, whether the House is in session, has recessed, or has adjourned) and to hold such hearings as it considers necessary. (b) Rules of Procedure- The provisions of clauses 1, 2, and 4 of rule XI of the Rules of the House shall apply to the select committee. (c) Prohibition Against Meeting at Certain Times- Subsection (a) may not be construed to limit the applicability of clause 2(i) of rule XI of the Rules of the House to the select committee. Sec. 5. (a) Expenses- Subject to the adoption of expense resolutions as required by clause 6 of rule X of the Rules of the House, the select committee may incur expenses in connection with its functions under this resolution. (5) reimburse members of the select committee and of its staff for travel, subsistence, and other necessary expenses incurred by them in the performance of their functions for the select committee, other than expenses in connection with any meeting of the select committee, or a subcommittee thereof, held in the District of Columbia. (c) Expiration- The select committee and all authority granted in this resolution shall expire 30 days after the filing of the final report of the select committee with the House, or just prior to noon on January 5, 2009, whichever occurs first. Sec. 6. (a) Final Report- As soon as practicable during the present Congress, the select committee shall submit to the House a final report setting forth its findings and recommendations as a result of its investigation. (b) Filing of Reports- Any report made by the select committee when the House is not in session shall be filed with the Clerk of the House. (c) Referral of Reports- Any report made by the select committee shall be referred to the committee or committees that have jurisdiction over the subject matter of the report. (d) Records, Files, and Materials- Following the termination of the select committee, the records, files, and materials of the select committee shall be transferred to the Clerk of the House. If the final report of the select committee is referred to only one committee under the provisions of subsection (c), the records, files, and materials of the select committee shall be transferred instead to the committee to which the final report is referred. (1) The term `Member of the House’ means any Representative in, or Delegate or Resident Commissioner to, the Congress. (2) The term `MIA’ means any United States personnel that is unaccounted for and missing in action. (3) The term `POW’ means any United States personnel that is unaccounted for and known to be a prisoner of war. (4) The term `select committee’ means the Select Committee on MIA and POW Affairs established by this resolution. I am writing to express my concerns over the language of H.R. 111. FUNCTIONS Sec. 2. The select committee shall conduct a full investigation of all unresolved matters relating to any United States personnel unaccounted for from the Vietnam era, the Korean conflict, World War II, Cold War Missions, or Gulf War, including MIA..’s and POW..’s. By joining all of the conflicts, wars and missions together with the word .."OR..", this means that the select committee can PICK AND CHOOSE which .."conflict.." they want to investigate, rather than investigating them all. IF the bill had the word .."AND.." joining the wars, conflics and missions, the committee would be required to investigate all unresolved matters relating to any United States personnel unaccounted for from ALL of the wars, conflicts and missions. In my opinion, the way this bill is written provides the government an .."out..." Additionally, since the inception of the OIF & OEF, the U.S. has additional MIA..’s. These .."wars.." should be included in this bill as well. Thanks fior your comments on H.Res.111. Unlike most other bills in the House, this one does not become "law," but rather its language only affects how the House of Representatives is organized -- that is, it deals with organization and rules of procedure within the House. Thus it went to the House Rules Committee rather than the Armed Services Committee. Once a select committee is establihed, it can do investigations and recommend legislation. Such a committee can turn up the heat on POW/MIA issues -- they can hold hearings, publish reports, investigate an issue, and call upon people to testify at hearings. When this select committee is established, its members ignore issues at their peril -- they have to stand for re-election every two years. They are not "the only game in town" and they know it. DUBOIS, Pa. -- The DuBois American Legion held a special ceremony Tuesday evening to draw attention to soldiers who are missing in action or prisoners of war. The ceremony centers around an empty table placed in the center of the room, symbolizing the empty chair of the soldier. A pinch of salt on the table symbolizes the tears of the soldier's family. Organizers said a slice of lemon on the table symbolizes the soldier's "bitter fate." DuBois American Legion officials said the ceremony has been held across the country. This will be a lengthy project and will require many man-hours to ensure that we have done our utmost to discover every forgotten veteran and procure each a dignified resting place. This will also be a labor of love, a task of redemption, for a debt of service that can never be repaid. The second phase of the MIA Project will be the creation of a network of individuals working with local Funeral Homes, State, and National Agencies to ensure that, from now on, the cremated remains of any unclaimed veteran will be identified, claimed and interred in a timely manner. This will be an ongoing project and will most likely be a cooperative effort between many voluntary service organizations. The MIA Project will be a long-term project, but not a time sensitive project. VILSECK, Germany — A soldier who refused to deploy with his unit to Iraq because of a “deeply held personal belief” that he should not take a human life will spend the next six months in jail before being thrown out of the Army.Spc. Benjamin Stewart, 25, of the 2nd Stryker Cavalry Regiment, pleaded guilty Wednesday to missing movement on Jan. 7, 2008, when he was scheduled to deploy to Iraq. Stewart had already been convicted — and reduced in rank from sergeant to specialist — of being absent without leave when the bulk of the regiment deployed last summer. Stewart told the court that he refused to deploy because of what he experienced during his last deployment to Mosul, Iraq, from 2004 to 2005.“I saw a mother and her infant child get killed in crossfire. I saw children lose their limbs in a car bomb. One boy lost an arm and another lost both legs,” he said.After that mission, Stewart said, he decided he could not deploy again. "I’m not a pacifist or peacenik or against the war in Iraq. From the beginning, I believe the war was justified, (but) I could not live with myself if I killed another person,” he said. His wife, Tabitha Stewart, who testified by telephone from the U.S., said Stewart returned from Iraq angry and scared.“He would stop the car in the middle of the freeway and yell at another driver for reasons I didn’t understand. But one day Ben woke up and started … getting back to the Ben I knew before he went to Iraq,” she said.The prosecutor, Capt. Derrick Grace, said Stewart should be made an example of for the Vilseck community. He noted that Stewart had a chance to leave the Army after his first deployment but chose to re-enlist for four more years while he was in Iraq.“He was fine serving in a garrison environment, but when his nation called him to deploy, he said ‘no,’” Grace said. The defense attorney, Capt. James Hill, argued that Stewart’s sentence should be reduced because of illegal pretrial punishment by his unit. Witnesses testified that while in front of other soldiers, 2nd Cav Rear Detachment commander Lt. Col. Thomas Rickard told Stewart that: “Twenty years ago in Panama we would have stripped a soldier naked, beat him up, thrown him in a van and dumped him for not deploying.”The military judge, Col. Greg Marchessault, agreed with the defense’s argument, ruling that Rickard’s comments caused Stewart to feel degraded, humiliated and made him live in fear. He gave Stewart credit for seven days of pretrial confinement but sentenced him to be reduced to private and confined for six months, to be followed by a bad-conduct discharge. At a news briefing late Thursday, State Department Spokesman Sean McCormack said authorities deployed enough police to turn back the crowd only after the embassy had been breached, and after Under-Secretary of State for Political Affairs Nicholas Burns had warned Serbian Prime Minister Voyislav Kostunica and Foreign Minister Vuk Jeremic that they would be held personally accountable if the attack continued. Police is using tear gas to disperse crowds of rioting people who have been attacking embassies in Belgrade. The closed U.S. embassy building has been set on fire. The Turkish, Croatian and Bosnian legations have also come under attack. More than 30 people have been injured. (CNN) -- Police were guarding the U.S. Embassy in Belgrade on Friday, one day after a charred body was found and dozens of people were reportedly injured in an attack by angry demonstrators protesting Kosovo's independence from Serbia. Serbs opposed to Kosovo's independence storm the U.S. Embassy in Belgrade Thursday in Belgrade. The Embassy's consular section remained closed on Friday as officials were advised to remain in their residences and avoid movement amid continuing fears over anti-Western protests, according to a statement on the U.S. Embassy Web site. The Embassy warned American citizens to avoid areas of demonstration and to exercise "extreme caution." Throwing rocks, breaking windows and setting fires, the protesters capped a day of mass protest against Western support for an independent Kosovo. Thursday's violence was part of a much bigger, peaceful demonstration where up to 150,000 people chanted "Kosovo is Serbia," and vowed to never accept the province's independence. The larger group of protesters marched to the Orthodox Cathedral of St. Sava, where a huge outdoor prayer service was held. Serbian TV showed someone trying to set fire to the U.S. flag at the embassy, which was closed and unstaffed when the masked protesters attacked. Riot police fired tear gas at the rioters and lines of armored vehicles were on the streets before the embassy perimeter was secured. One charred body -- a male protester -- was found in the U.S. Embassy compound, embassy spokesman in Belgrade William Wanlund said. Belgrade fire officials said the body was found in an "unoccupied area" of one of the embassy buildings, he said, around the same area as that reached by the demonstrators. Teresa Gould, a translator for Belgrade TV, said the Croatian Embassy next door also was attacked. Police quickly rounded up the demonstrators, witnesses said. Nikola Jovanovic, a political writer for the newspaper Blic, said two floors of the embassy were burned. He estimated about 50 people, including 15 police officers, were injured. Serbian media, however, estimated that between 96 and 107 people were injured in the protests, up to 35 of them police officers. "The fact that (independence has) not happened as peacefully as people had hoped is the direct result of the incitement to violence by extremist elements in Belgrade, implicitly and privately supported by the Russians," said Richard Holbrooke, a former negotiator in the Balkans under former U.S. President Bill Clinton. The U.S. has received assurances from Serbian Prime Minister Vojislav Kostunica "that there would not be a repeat of this episode, and we will hold them to that," State Department spokesman McCormack said. Serbian Foreign Minister Vuk Jeremic, said: "Those scenes that we saw are regrettable. The Serbian government has repeated time and time again that any solution to the Kosovo problem -- other than peaceful and mutually accepted a compromise solution -- would lead to instability in the region. Unfortunately, this fell on deaf ears." Kostunica, who earlier addressed the larger peaceful rally, said "Kosovo is Serbia's first name." He called the declaration of independence last Sunday illegal and said he would do all he can to get it annulled. Tensions also erupted at the Kosovo border checkpoint in Merdare -- about 50 kilometers (30 miles) northeast of Kosovo's capital Pristina -- as several hundred Serbian army reservists clashed with NATO-led peacekeepers and police, AP said. U.N. police said the demonstrators had come by bus from the Serbian town of Kursumlija and were largely army veterans who had fought with the Serbian side in Kosovo's 1998-1999 war, AP reported. Following the clashes, the demonstrators returned to the Serbian side of the checkpoint. Meanwhile, several hundred Bosnian Serbs rallied in the Bosnian city of Banja Luka and in the Sarajevo suburb of Lukavica, AP said. Students in Lukavica were seen waving Serbian flags and singing Serbian patriotic songs while police in Banja Luka were stopping demonstrators from marching on the U.S. consulate there. The breakaway region has been recognized by the U.S. and several EU nations including the UK, France and Germany but the government in Belgrade maintains that Kosovo is a part of Serbia. On Thursday, Italy became the latest European nation to recognize Kosovo's sovereignty, AP reported. PLATTSBURGH — Clinton County legislators are considering giving Cold War veterans a tax exemption. Proposed is a local law that would give Cold War veterans a 10-percent exemption off their property assessment for 10 years. The maximum exemption would not exceed $8,000. The law is being offered to cover veterans who are not eligible for war-time-veteran tax exemptions. Cold War veterans are defined as those who served in the U.S. military from 1945 to 1991. Many Cold War veterans served at the former Plattsburgh Air Force Base as part of the Strategic Air Command from 1956 until 1995 when the base closed. "The state is offering this to make it fair for those who served in the Cold War but do not get war-time exemptions," said Clinton County Veterans Services Agency Director Steven Bowman. "Now everyone will be covered." County legislators will hold a public hearing on the proposed exemption at their next meeting — at 7 p.m. Wednesday, Feb. 27 — before voting on the measure. If approved, the exemption can be applied to county taxes only. Bowman, himself a Cold War veteran, said each municipality in the county can also approve the Cold War exemption for local taxes. Thus far, only the Town of Chazy has approved the exemption. "I think these veterans deserve this exemption, and I would encourage all municipalities to look at this and make a determination of what they are going to do," Bowman said. “I am deeply concerned by the findings in this report. It is simply unacceptable that 10th Mountain Division soldiers who have recently returned from Iraq have to wait for up to two months for mental health care appointments. Not only has the Department of Defense failed to provide Fort Drum and other military installations with adequate mental health care resources, but there is also a persistent stigma within the military that discourages our servicemembers from seeking and receiving the mental health care that many of them need. With so many units serving multiple combat tours, this problem is only becoming more acute, and it must be addressed urgently. A new report by Veterans For America cites the inadequacies of an overburdened system that failed to address the mental health needs of their servicemembers. The draft report, which is based on interviews with a dozen soldiers and the mental health providers at Fort Drum, points to a number of factors that combined to contribute to these problems. Among the issues listed are wait times of up to a month for psychological services, understaffing, a reliance on questionnaires to identify soldiers in need of treatment, and in some cases the tendency of leadership to be indifferent to claims of post-traumatic stress disorder. Senator Clinton has long fought to ensure that our servicemembers and veterans receive the care and benefits they have earned through their service to our country. The Senator’s Heroes At Home legislation focuses on the urgent need to address brain and psychological injuries, and the processes by which they are screened and treated. The legislation also seeks to improve transitions from DoD to VA care, and works to ensure that wounded servicemembers receive the needed disability benefits that are entitled to. Several of Senator Clinton’s measures were enacted into law earlier this year as part of the FY 2008 Department of Defense Authorization Act. OTTAWA, Feb. 19 (UPI) -- A class action suit against the Canadian government was filed Tuesday in Ottawa by soldiers used for tests in nuclear explosions, The Globe and Mail reported.Lawyer Tony Merchant of Regina, Saskatchewan, is representing the group that is demanding equal compensation -- up to $75,000 -- awarded to some 62,000 U.S. soldiers by their government in 1988 for the various diseases that developed after exposure to nuclear blasts.A report by the Canadian Ministry of Defense in January 2007 said 689 Canadian soldiers attended up to 29 U.S. and British nuclear weapons tests between 1946 and 1963, The Globe and Mail said.Jim Huntley, 68, was a member of a Queen's Own Rifles unit that witnessed six atomic detonations in 1957, and said they were ordered to hide in foxholes while atomic bombs exploded. He told the newspaper when the bombs went off, soldiers saw bones in each others' bodies, like X-rays.He also said half of his unit is dead, mostly from various cancers.The lawsuit gives the government 30 days to announce its defense, the report said. The U.S. House has passed H.R.1585 to finally award a Cold War Medal to the millions of deserving U.S. veterans who held the line against communism from 1946-1991. This was a long, dangerous and stressful period for all who answered the call to defend freedom, and the war was won by these great American service members. 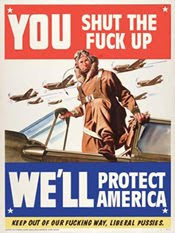 Cold War veterans answered the call of our country and defended it against “all enemies both foreign and domestic.” We served with professionalism, dedication to duty and pride in our country in order to protect freedom for us and the millions of others around the world who were under the gun. Please contact our senators and ask them to press for passage of S.1097 to award this medal to the millions of deserving veterans who have never been fully recognized for what they did for us and the world. SANTA MONICA, Calif. - Former first lady Nancy Reagan was hospitalized Sunday after falling in her home in Bel-Air but is doing well, her spokeswoman said. Reagan, 86, was taken to St. John's Health Center, where doctors determined she did not break a hip as feared, spokeswoman Joanne Drake said. Drake said Reagan was doing well and would stay the night in the same room where former President Ronald Reagan stayed after he broke his hip at home in 2001. He died June 5, 2004. The former first lady is "joking and visiting in her room," Drake said. Reagan's family physician recommended the overnight stay "as a precaution," Drake said. Nancy Reagan's last major public appearance was at the Jan. 30 Republican presidential debate at the Reagan Library in Simi Valley, Calif., where she sat with Gov. Arnold Schwarzenegger. That included four suicides, three accidental overdoses of prescribed medications, three deaths still under investigation and one motor vehicle accident, the Army said. “Army medical and safety professionals continue to remind soldiers and their families of the importance of prescription-drug safety precautions, including following the printed directions and information for each medicine,” the Army said of the overdoses in a statement Thursday. Noting the death of actor Heath Ledger, Army Surgeon General Lt. Gen. Eric B. Schoomaker last week first disclosed the issue of drug overdoses in the 35 special transition units, which care for more than 9,500 soldiers. “This isn’t restricted to the military, alone, as we all saw the unfortunate death of one of our leading actors recently,” Schoomaker told Pentagon reporters. He made his comments the day after The New York medical examiner announced that Ledger, the 28-year-old “Brokeback Mountain” star, died Jan. 22 from an accidental overdose — the effects of taking several types of painkillers and sedatives. Schoomaker didn’t have statistics with him at the time and said he didn’t know whether the number of overdoses among soldiers was on the rise. He said the series of deaths in the new units was noticed and getting attention partly because the units concentrate the Army’s temporarily disabled and ill troops into special groups, thus making it possible for leaders to track and tabulate their health issues more closely and carefully than ever before. The IRS and Treasury will be working closely with the Department of Veterans Affairs along with beneficiary organizations to ensure that all eligible individuals know what to do to receive a stimulus payment. In many cases, the taxpayer will be able to use the short tax return Form 1040A. In a perfect world, it would be a seamless transition. cope with the paperwork and arrange for appointments. transition would take no more than a month. have often come out the losers. it has come to be known, has exploded into a major controversy. designed to fix some of the glitches. begun working together to correct some of the problems. improve cooperation between the departments. Vincent Polistina, R-Atlantic, really doesn't Get it. I am So sick of lawmakers belittling Cold War Era Service. Most lawmakers go out of there way to honor Veterans but time after time Cold War Era Service gets aslighted here is yet another example. Rookie Assemblyman Vincent Polistina, R-Atlantic, gets it. You have to wonder why so many of his fellow lawmakers do not. With all the talk (and the shouting) about Gov. Jon S. Corzine's plan to dramatically raise tolls to pay down New Jersey's skyrocketing debt and fund long-neglected needs in the state, it can be easy to forget that the state Legislature is in session and busy doing other stuff as we speak. Part of the battle to fix New Jersey's financial mess is being waged right now on the floor of the state Senate and Assembly. And whether you like Corzine's plan or not, it should be clear to all that business as usual in the Statehouse must end. But the signs are that most lawmakers still don't understand that. "As the state Assembly Thursday blitzed through dozens of bills, Assemblyman Vincent J. Polistina refused to sit still. Over and over again, the freshman Republican from Atlantic County, participating in his first voting session, stood to question how much each initiative would cost the state, even on the most innocuous sounding bills, such as giving certificates to New Jerseyans who served in the military during the Cold War. It's not that Polistina opposed honoring veterans. He said he favored doing that. 'This bill will cost money,' Polistina said. 'I do not believe this is the right time to be introducing anything that could cost upwards of $350,000.'" So what happened to that $350,000 measure to honor veterans of the Cold War? It was approved by a vote of 67 to 4 (with five Assembly representatives abstaining and four not voting at all). Polistina was the only assemblyman in The Press coverage area to vote no on the measure. His running mate, Assemblyman John Amodeo, R-Atlantic, voted yes, as did Assemblymen Nelson Albano and Matthew Milam, D-Cape May, Cumberland, Atlantic, and Brian Rumpf and Daniel Van Pelt, R-Ocean, Burlington, Atlantic. By the way, all of them campaigned on a platform of cutting state spending. Gentlemen, this is how you do that - by saying no to one $350,000 bill at a time. And then doing it again, and again and again. In addition to his controversial toll hike, Corzine has also vowed to hold next year's spending at this year's level, which could require $2.5 billion in spending cuts. Still, the Assembly wants to hand out certificates to veterans of the Cold War. The culture in Trenton has to change. Polistina deserves praise for recognizing that - and acting on it. Not many rookie assemblymen make so much noise at their first voting session. But the question remains: What will it take for the rest of them to get it? KERNERSVILLE, N.C. (February 7, 2008) -- Kevin Harvick Inc. (KHI)announced today a new partnership with the Veterans of Foreign Wars of the United States (VFW) for the 2008 season. VFW Racing will be partner in every NASCAR(r) Craftsman Truck Series and Nationwide Series race this season, both on and off the track. Reigning Craftsman Truck Series Champ Ron Hornaday's No. 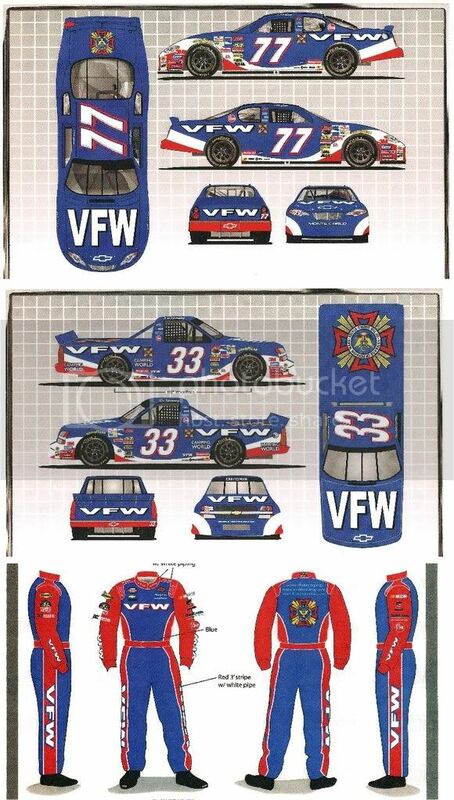 33 truck will feature the new VFW Racing paint scheme and logo in several races this year. He, along with Nationwide Series Rookie of the Year contender Cale Gale, will also drive VFW's No. 77 car in the Nationwide Series. The No. 33 VFW Racing truck will debut on March 29, 2008 at the Martinsville (Va.) Speedway. The VFW logo will also appear in an associate position on the No. 33 Camping World/RoadLoans.com Chevrolet Silverado and the No. 77 VFW Chevrolet Monte Carlo throughout the 2008 racing season. "Everyone at KHI is excited to be working with the VFW on their first NASCAR effort," said Kevin Harvick, co-owner of KHI. "VFW is an incredible organization, and we expect this program will help educate the public about the tremendous work they do to support our country's heroes." The VFW is the nation's oldest and most respected veterans service organization. Its mission is to honor the sacrifice and ensure the rights of American war veterans through advocacy, support and community service, while promoting patriotism. "Our racing program is designed to raise awareness of veterans' issues and increase support for the VFW's programs," said VFW's National Commander George Lisicki. "Most Americans would be surprised at the wide range of support the VFW provides to veterans and their families, from financial assistance for families of deployed troops to dedicated VFW service officers to aid veterans in filing benefits claims. We believe the exposure we'll get from our partnership with KHI will help us to meet the growing demand for our services." A fan site, www.vfwracing.org has also been developed. In addition to checking racing statistics and updates, visitors can learn more about the VFW and celebrate our American heroes. South Korean military authorities have known since 2003, when the Roh Moo-hyun administration was inaugurated, that North Korea has transported rice supplied by the South for humanitarian purposes to frontline units of the North Korean Army. The South Korean military has admitted it found no fewer than 200 South Korean rice sacks transported to North Korean Army units on about 10 occasions to the demilitarized zone including Gangwon Province between 2003 and recently. There is not a whole lot more I can add than this than what One Free Korea has already stated, but stopping food aid would be one of the most difficult measures to leverage against the regime due to claims from critics against using food as a weapon. According to defectors interviews by the Chosun Ilbo only 7.6% of North Korean defectors in South Korea ever received food aid. Obviously very little of the food is reaching its intended target population, but I just don’t see South Korea and other donors stopping food aid despite knowing full well the vast majority of it is going to the military and the regime elites. Well at least the South Korean government can quit fooling itself that the food aid is making a difference in North Korea. Kerry Rogers remembers his father — a dashing figure, an Air Force pilot shot down during the Vietnam War — sometimes smoked a pipe. Maybe there was an unfathomed clue in that. "They found a lighter at the crash site," he said. "Maybe it was his. They haven't told me that. But maybe it was." And maybe that clue would lead to another clue that might lead to the identification of the remains of Air Force Maj. Charles E. "Bud" Rogers. It's been almost 41 years since Maj. Rogers' single-engine, propeller-driven A-1E Skyraider was hit by ground fire on the morning of May 4, 1967, and crashed into trees with "no chute seen," according to an Air Force report. "All I want is to repatriate his remains," said Kerry Rogers, 49, who lives in Dacula. "This has been hard on me. But my mother, who died a few years ago, never got over it. It destroyed her." Rogers was with kindred spirits Saturday morning at a gathering at the Hyatt Regency Suites in Marietta of about 150, the families of American soldiers who are missing in action or whose remains have not been identified, going back to World War II — 63 years ago. "They come because they want to know what we're doing, and we want to tell them what we're doing," said Larry Greer, director of public affairs for the U.S. government's Defense Prisoner of War/Missing Personnel Office. "And they get support from each other." Since the DPMO was formed in 1993, it has hosted "Family Update" meetings across the country. The last time the Southeast regional meeting was in Atlanta was 2001. Last year, it was in Tampa. In the opening address Saturday morning, DMPO Ambassador Charles A. Ray assured families that the department's staff of 600 was tireless in its efforts to find missing soldiers or identify their remains, and understood the frustration families must feel after all these decades of unsolved mystery. "I know you want closure," he said. For some, trusting the government takes time. Kerry Rogers' family, for instance, was told by the military that the father — who was posthumously awarded the Silver Star and Distinguished Flying Cross — was shot down in Vietnam. Only years later did they learn Maj. Rogers was killed during a bombing mission over Laos, a country bordering Vietnam that, in 1967, the U.S. government did not acknowledge bombing. As family members spoke during a remembrance ceremony before the daylong session, some wept, and voices cracked. "I would like to know what happened to my brother before I pass on," said Alta Hollingsworth, 72, of Tuscaloosa, Ala. The remains of her brother, Army Cpl. John C. Skelton, have not been identified since he was killed during an August 1951 battle in the Korean War. "I've given [investigators] my blood [to match the DNA], and he's never been identified, and I don't know why," she said. Greer said locating or identifying the remains of approximately 88,000 American soldiers who were POWs or are missing in action is time-consuming. The remains — "always skeletal" — are taken to a lab at Hickam Field in Hawaii, where technicians test them for DNA and against medical records. "Sometimes a single tooth will identify the soldier," Greer said. The science can be amazing. "We just identified a soldier from World War I," he said. World War I ended in 1918. The DPMO is not investigating four MIAs from the current Iraq war because, Greer said, that is a continuing conflict under military command. Hollingsworth drove to Atlanta for Saturday's meeting because she said she read that the remains of 12 soldiers from Korea were recently found. "I'm hoping and praying one might be my brother," she said. For Atlanta's Ann Perina, this was her third family update meeting. She has yet to come away knowing what happened to her brother, Marine 1st Lt. Leslie Shelton Jr. He was declared killed in action in the Korean War, at Observation Post Harlow, two days after Christmas, Dec. 27, 1952. He was leading a squad of four Marines to retrieve the bodies of other Marines killed in an earlier battle. "It was at night, but the field was illuminated and they came under intense machine gun fire," Perina said. "They were all seen to fall." The next day, Americans saw Chinese troops taking two of the soldiers and leaving two on the battlefield. One of the Marines was released as a POW after the war, Perina said. Was her brother one of the dead whose body was not recovered? Or was her brother a POW who either died in captivity or was never released? The DPMO recently was given access to Chinese POW files for the first time. Investigators are just beginning to comb through them. Maybe soon Ann Perina will have an answer to whatever happened to her brother. Please click here and read the full report (PDF): Fort Drum: A Great Burden, Inadequate Assistance. A new, in-depth investigative report released by Veterans for America, documents the toll of repeated, lengthy, and unpredictable deployments on Soldiers stationed at Fort Drum, New York, raising powerful questions about the sustainability of U.S. military operations in Iraq and Afghanistan. Over the past decade, Fort Drum’s 10th Mountain Division has been one of the Army’s most heavily deployed divisions. Since September 11, 2001, Fort Drum’s 2nd Brigade Combat Team (BCT) is the most deployed brigade in the Army – with more than 40 months logged away from home in that time. VFA’s new report highlights the lack of treatment available to combat Soldiers and presents potential solutions to what the Pentagon acknowledges is a “daunting and growing” problem. On their latest Iraq tour, members of the 2nd BCT were more than five times more likely to have been killed than others who have been deployed to Iraq and Afghanistan and more than four times as likely to have been wounded. 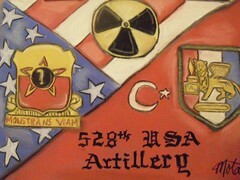 In all, the 2nd BCT has been deployed four times. Pentagon studies have found that a Soldier’s chance of developing mental health problems increases 60 percent upon each deployment. “Soldiers at Fort Drum have been repeatedly exposed to high intensity combat. Mental health resources must match this level of sacrifice,” said Jason W. Forrester, one of the report authors. Multiple Soldiers at Fort Drum informed VFA of low morale on base and rising DUI and AWOL rates. Even when Soldiers had the courage to seek mental health treatment, they often waited as long as two months for appointments with on-base mental health professionals. As discussed in the previous Veterans for America report – Trends in Treatment of America’s Wounded Warriors – VFA has visited every major military facility in and out of the United States. Our work has revealed a military mental health system that is under severe stress. VFA’s work at Fort Drum, unfortunately, confirms this. Read today’s New York Times Article featuring our report and efforts: Report Faults Mental Care For Iraq Veterans. Veterans For America Releases Major Report: Trends In Treatment Of America’s Wounded Warriors. Veterans for America is proud to release a ground-breaking report on the challenges facing our wounded warriors who are suffering from the “signature wounds” of the wars in Iraq and Afghanistan, traumatic brain injury (TBI) and psychological trauma.Having visited every single demobilization site in the United States and overseas, Veterans For America investigators found that care for these injuries is significantly lacking and that the decisions made by the military will negatively impact our veterans for the rest of their lives. To read more or to download the report, please click here. We are very interested on learning more directly from servicemembers, veterans, and their families. If you, or someone you know, is an Iraq or Afghanistan veteran suffering from TBI or a psychological wound, please fill out our registry here so that we may help you. A New Cold War Looming? U.S. fighter planes intercepted two Russian bombers, including one that buzzed an American aircraft carrier in the western Pacific during the weekend, The Associated Press has learned. In Moscow, the RIA Novosti news agency reported Tuesday that the head of the Russian Air Force information service, Alexander Drobyshevsky, said the Russian bombers "were carrying out their assigned flights" and in strict compliance with the international airspace rules. "We are surprised by the noise that has been raised (over the flights)," he was quoted as saying. Such Russian encounters with U.S. ships were common during the Cold War, but have been rare since then. 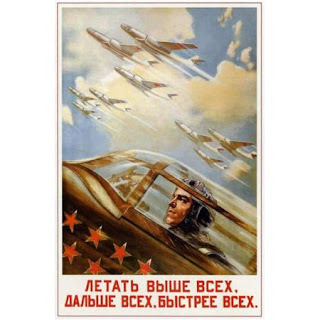 Russia revived the Soviet-era practice of long-range patrols by strategic bombers over the Atlantic, Pacific and Arctic oceans last August. his is the first time Russian Tupolevs have flown over or interacted with a U.S. carrier since 2004. "We are being forced to take retaliatory steps," said Russian President Vladimir Putin, who also warned that a new arms race is under way.